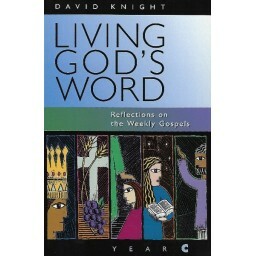 To help us better understand the Sunday and weekday Gospel readings, David Knight has collected his reflections for the lectionary year C in this handy book. Each brief reflection is based on the Gospel of the particular Sunday or weekday. For each weekday, the author has chosen one line from the day's Gospel and offered one question to stimulate reflection. To help us integrate the Gospel into our daily lives, Knight provides in a section called "Living This Week's Gospel" five suggested responses we can make to the Sunday Gospel each week. He bases his suggestions on five words that summarize our identity as Christians: Christian, disciple, prophet, priest and king. Finally, Knight adds a prayer that we can say each day all week, asking for the grace to live by the values proposed in the Sunday reflection.